Junior Boys: Maroon jumper with crest, mid-grey trousers, grey shirt and plain black leather shoes. 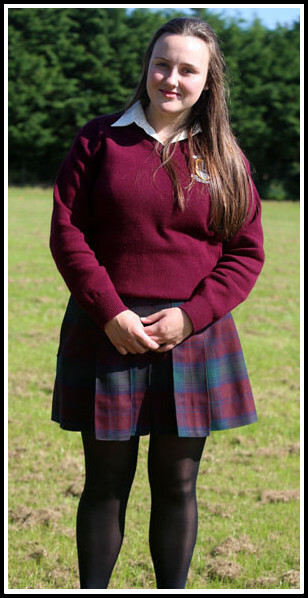 Junior Girls: Maroon jumper with crest, plaid skirt, cream blouse, black shoes and black / navy socks. Navy trousers (Arthur’s Court model no. 222W) may be worn instead of a skirt. Senior Boys, Transition Year /L.C.A Boys: Navy blue jumper with crest, mid grey trousers, grey skirt and plain black shoes. 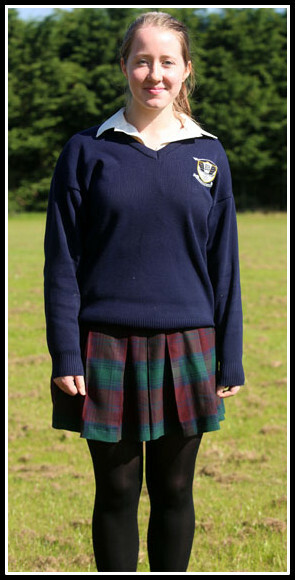 Senior Girls, Transition Year /L.C.A Girls: Navy blue jumper with crest, plaid skirt, cream blouse, black tights / navy socks and plain black shoes. Navy trousers may be worn instead of a skirt. N.B. A white T Shirt, without a collar, may be worn inside the shirt or blouse. The school reserves the right to decide which current items of fashion (jewellery, footwear, hairstyles, etc.) are acceptable at any time. P.E Uniform: Plain grey polo shirt or sweat shirt. Plain navy tracksuit bottom or shorts. 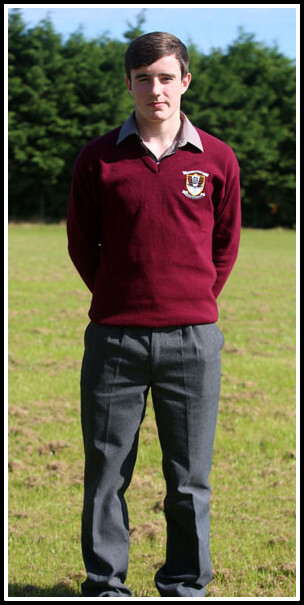 The School Uniform is available in both Forde’s and Phillips’s clothing stores in Ballyhaunis. See the images below for the Junior and Senior boys and girls uniforms.